The hand cup series arose from the juxtaposition of two cast objects, a dimpled cup and a tiny doll’s arm randomly together on my worktable. The resultant, originary hand cup was a simple one-to-one combination of cup and “hand”le. The next logical progression was the two-armed cup, which, with the arms in varying positions, proved surprisingly animated. 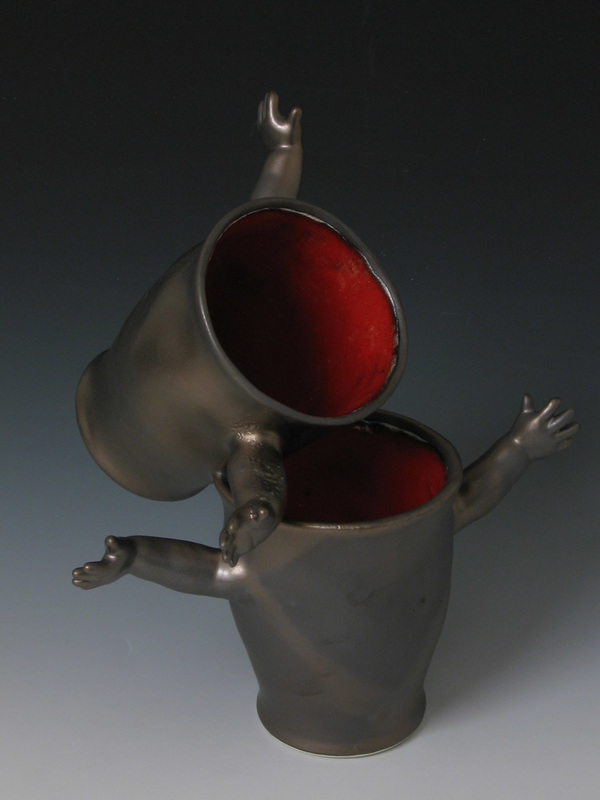 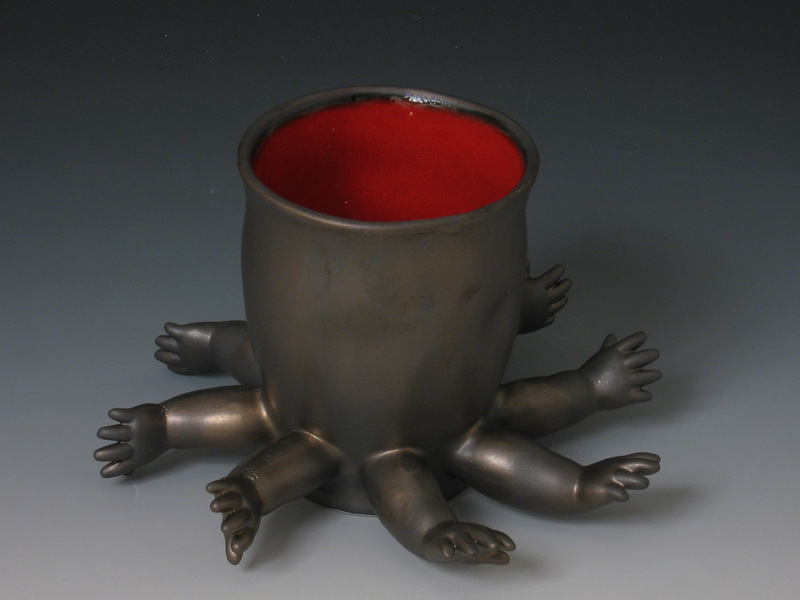 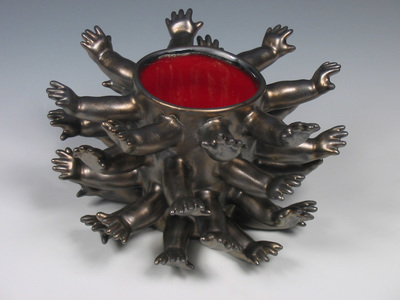 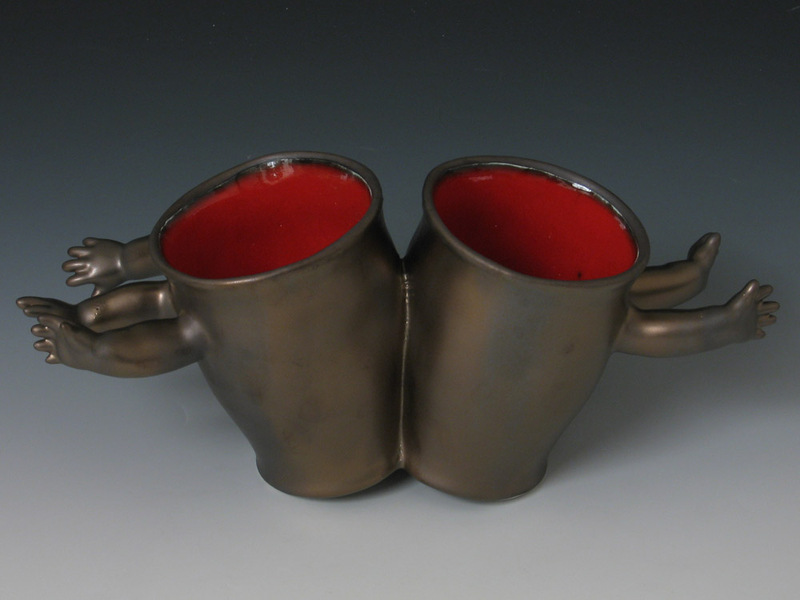 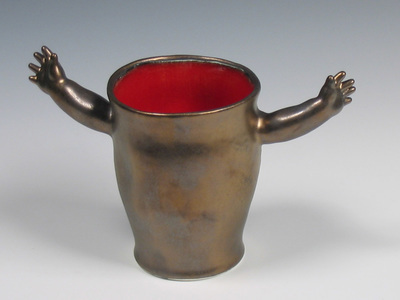 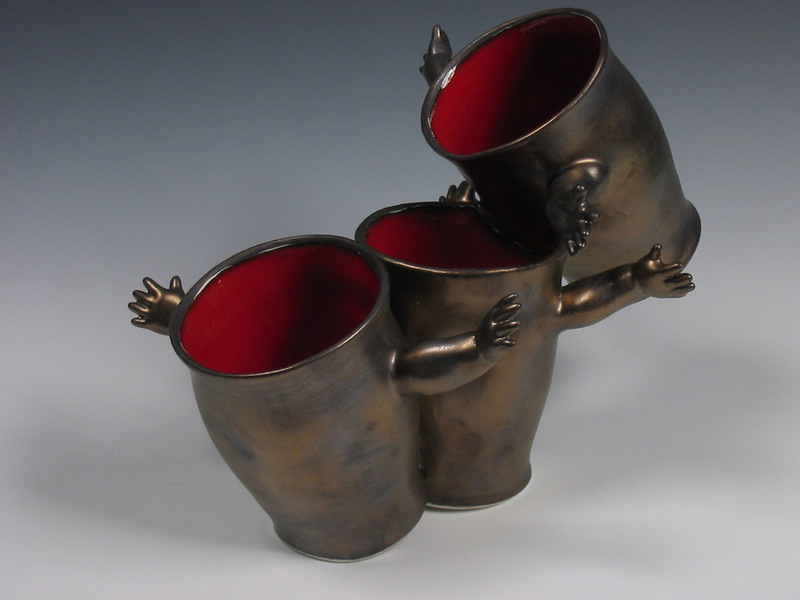 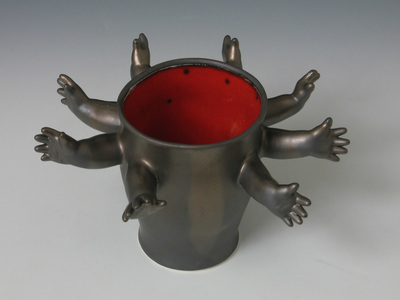 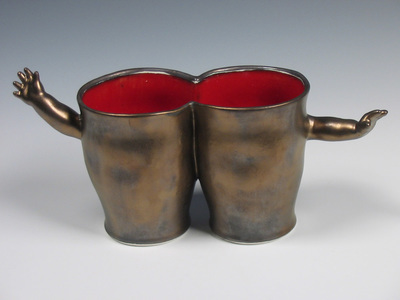 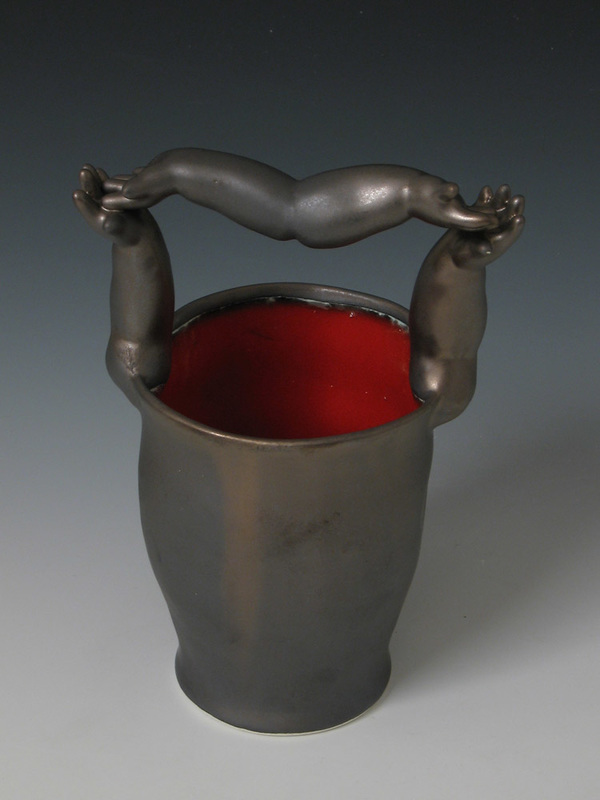 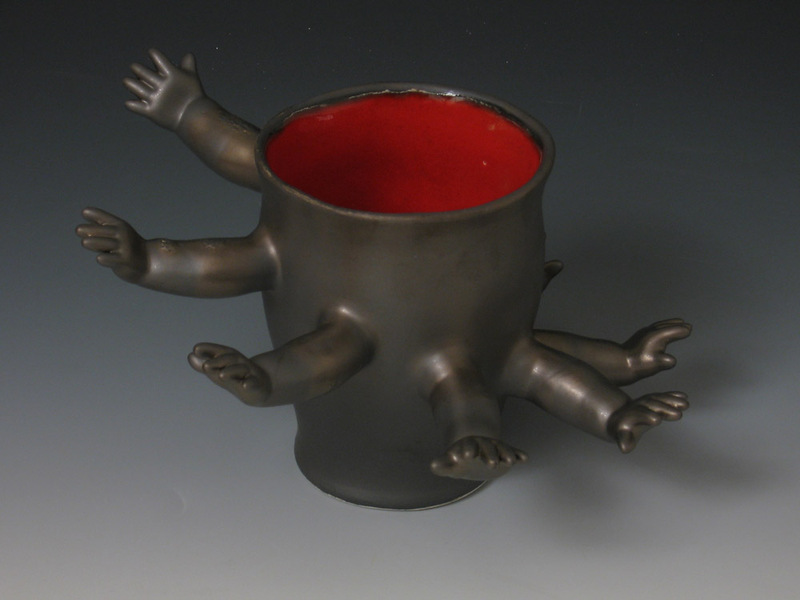 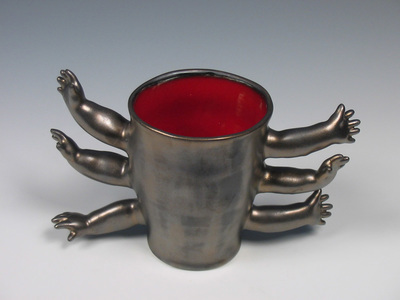 A group of cups side by side begged to interact with each other and the idea progressed, with permutations of body and appendage, leading to cups with multiple arms and arms with multiple bodies. 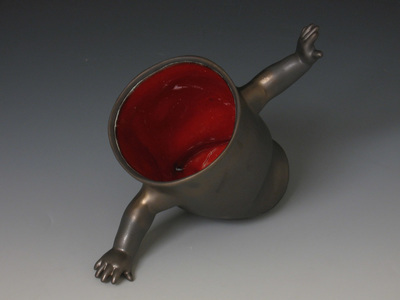 The pieces exhibit distinctive personalities, some amusing and others disturbing.